A multi-faceted company with an array of divisions, products, and services serving as the region’s leader for vision rehabilitation, education, and advocacy and able to help anyone experiencing vision loss. This website provides information on the everyday problems experienced by color blind people and offers advice to parents and caregivers in how to provide support for the color blind children in their care, including details of how to access tests for color blindness or to arrange for a formal diagnosis. 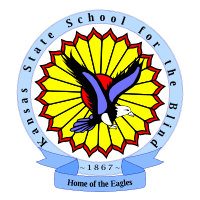 Provides programs and services to Kansans across the lifespan: The Early Childhood Development Center (ECDC) is a daycare center for children who are blind or visually impaired from two weeks to age 5 years. ECDC also provides home-based services to children who have a vision impairment and other health issues that prevent them from attending daycare. conferences for middle school and high school students. Disability. The new Workforce Innovation Center is dedicated to providing experiential training and job placement opportunities in desired career fields. The Envision Research Institute (ERI) is committed to research that addresses practical issues in the clinical treatment and rehabilitation of persons who have low vision or Blindness. Envision Vision Rehabilitation Clinic (EVRC) provides comprehensive, multidisciplinary vision rehabilitation by combining adaptive technology, training and more to maximize visual function. Envision Everyday store sells adaptive aids, technology, and equipment, visit in person or online at www.envisioneveryday.com. Public education program provides presentations to a wide variety of groups throughout the state. Provides support and information for families of children, from birth to age 26 years, with disabilities and/or special health care needs. Programs are offered at no cost to families, and are available in English and Spanish. To provide advice and counsel to the Secretary of DCF on issues that improve opportunities for employment and independent living for Kansans who are blind or visually impaired. To serve as an advisory body for DCF and, as such, advise the Secretary and staff of DCF in matters affecting policies, programs, priorities and long-term, strategic direction for the state’s services to Kansans who are blind or visually impaired. Kansas Infant Toddler Services (authorized by the Individuals with Disabilities Education Act – IDEA Part C) is administered by the Kansas Department of Health and Environment (KDHE). KDHE provides grants to local networks to assist in maintaining and implementing a statewide system of coordinated, comprehensive, multidisciplinary early intervention services for infants and toddlers with disabilities (birth through 2) and their families. KDHE is responsible for assuring availability to eligible children and their families excluding those at-risk. The purpose of the Early Childhood, Special Education, and Title Services (ECSET) is to provide effective, evidence-based technical assistance to districts and schools across the state. Educational Service Centers provide support and services for an appropriate education for exceptional students in specific regions within Kansas. 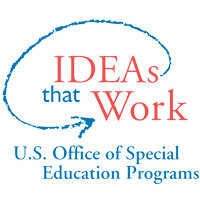 Special education programs serve students whose unique learning needs cannot be met without additional intervention. These students require specially designed instruction to enable them to progress within the general education environment and/or receive an educational benefit from instruction. Provides guide dogs for the visually impaired, service dogs to assist individuals with physical disabilities and facility dogs that assist professionals in the field of education, counseling, healthcare, retirement or the legal system. Medicaid provides health care coverage to certain individuals with limited income. In Kansas, a person is entitled to free or low-cost (KanCare) Medicaid health care coverage if they meet specific income and eligibility requirements. The Kansas Parent Information Resource Center promotes meaningful family engagement at all levels of education and provides information and resources to help parents, educators and other organizations promote the educational success of every Kansas child.